Rosacea is a common chronic inflammatory skin condition that affects over three million Canadians. The first sign that many people notice may be intermittent blushing or redness. Over time, the redness may become more persistent and visible. The most commonly affected areas of the face are the cheeks, nose, chin and forehead. Rosacea may sometimes spread to the eyes as well, causing watery, bloodshot eyes that feel gritty. More than half of rosacea sufferers may experience eye symptoms. Rosacea symptoms can vary from one person to another and their severity is unpredictable, but may include red patches, acne-like bumps, tiny pus-filled pimples and even enlarged blood vessels, giving skin a rough, uneven appearance. Although there is no known cure, rosacea can be managed with appropriate treatment and lifestyle changes. Rarely, rosacea can present as thickened, swollen and bumpy skin on and around the nose called rhinophyma. Rhinophyma develops when the oil-producing glands and surrounding connective tissues become enlarged and is seen in some men who have rosacea, but very rarely in women. Rosacea, like other chronic diseases, can be psychologically difficult to deal with as it is a condition that may persist for many years. Many patients with rosacea feel self-conscious about their facial condition, since it is difficult to disguise. They may also be negatively affected by common misconceptions about rosacea, such as the belief that it is a sign of alcohol abuse or poor hygiene. Reports of low self-esteem and negative impacts on career opportunities are very common among rosacea patients. Successfully controlling the symptoms of this chronic skin condition through diagnosis and treatment has been shown to improve the mental and emotional well being of patients. Rosacea does not improve without treatment and, if left untreated, can actually worsen over time. Unlike acne, self-treating with over-the-counter products may not help, and may irritate the skin even more — causing more redness and bumps. 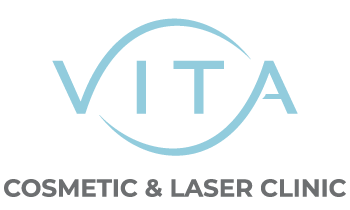 Laser technology is considered the most effective treatment for rosacea and involves using Intense Pulsed Light (IPL) to treat the visible symptoms that do not respond to other types of therapy. The Cynosure® Icon™ IPL uses advanced laser technology to target the unwanted blood vessels in your skin. The intense energy delivered causes them to slowly disappear through your body’s natural healing process, revealing smoother, more beautiful-looking skin. Laser skin resurfacing is also an effective treatment to reduce the tissue overgrowth associated with rhinophyma. To find out more about our wide range of medical non-surgical cosmetic procedures to treat Rosacea, please contact us to book a free consultation.